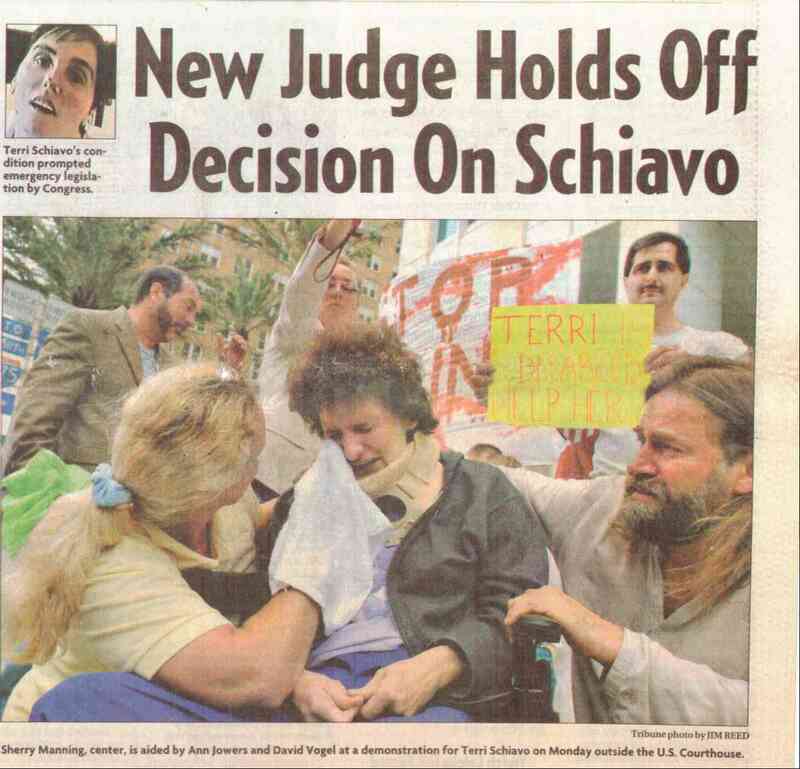 cover of the tampa tribune 3-22-05. sherry traveled to tampa florida in hopes of saving terri schiavo. when reporters asked sherry how she felt about the judges decision to remove terri's tube sherry pointed to her own feeding tube and began to cry. sherry also suffers from a brain injury and we were told to put her in a nursing home because there was no hope for recovery. 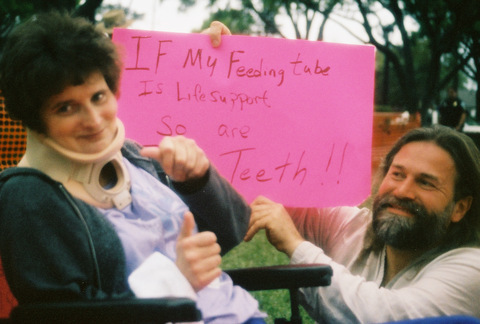 sherry is unable to talk because of the brain injury, but she has feelings, and emotion. sherry would cry everytime the news mentioned terri schiavo's name. when i told sherry i was going to tampa she let me know right away she wanted to go. even though sherry was unable to talk to the reporters they didnt have any problem understanding how upset sherry was by the judges decision to remove the feeding tube. when they asked her how she felt sherry pointed to her feeding tube and cried hysterically.